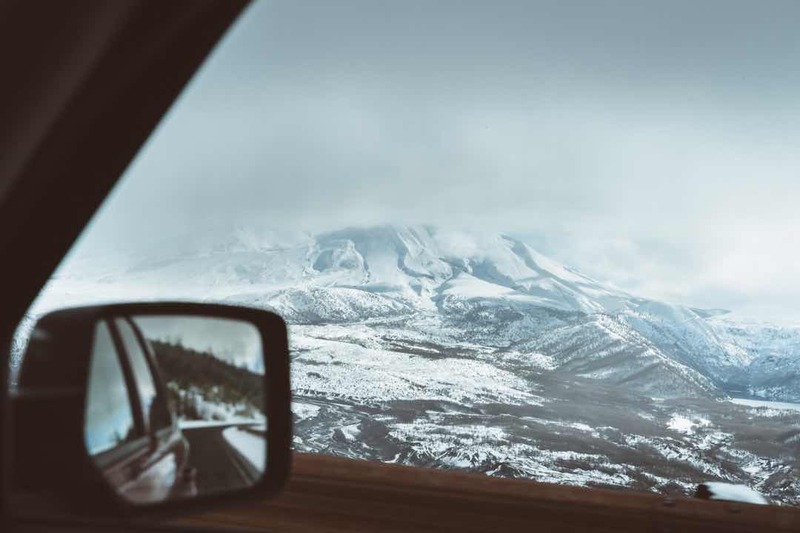 We have customers from all over Contra Costa County, many of whom travel frequently to Lake Tahoe or other parts of the Sierra Nevada Mountains. Naturally, if you’re traveling during winter, the ramifications of an automotive failure can be catastrophic on slick roads in freezing temperatures. That’s why so many of our customers schedule a visit to Top Shop Auto Service before their first trip of the season. We can perform specific maintenance services or a complete safety inspection. Tires: Tread design, tread depth, inflation and overall condition are all important to safe driving in wet, cold winter conditions. Ideally, you’ll want mud and snow — M&S — tires, or at least all-weather tires, for trips to Tahoe. They should have significant tread remaining and be properly inflated. Don’t forget to have your spare tire checked and be sure you know how to operate your car jack. Oil: Engine oil viscosity is another factor that many people don’t consider. There are different grades of oil that perform better in cold temperatures, so it’s wise to schedule an oil change before winter hits. Be sure to let us know you’ll be traveling to Tahoe or other high altitude destinations. Windshields: Many people realize too late that their wiper blades have become dry and stiff, or that they are out of windshield wiper fluid. All it takes is a couple seconds of zero visibility driving to underscore the importance of attending to these items before departing. We can also provide an additive that lowers the freezing temperature of your washing fluid so it won’t freeze on your windshield. Brakes: This is obviously a big one and goes along with proper tires and conditions. Stopping distances are impacted by road conditions, the grade of the road, tire condition, tire inflation, and, of course, the condition of your brakes. A professional brake inspection is quick and affordable, so don’t take the chance; schedule a brake inspection in time to address any needed brake servicing. Even the best maintained cars can experience difficulties and even the best drivers can encounter unavoidable challenges. That’s why both you and your car need to be prepared for any circumstances. Chains or Cables: Not only is it highly recommended that you carry the proper chains or cables for a trip into the mountains, it is often required by the California Department of Transportation (CalTrans) and California Highway Patrol. Under certain winter conditions, you won’t be allowed to travel without approved supplemental traction devices in your possession. We encourage you to check the condition and fit of your chains or cables prior to each season. It’s also a good idea to check their condition after each use to ensure links and cross pieces haven’t been damaged or lost. And, of course, practice installing and removing them in the comfort of your own driveway or garage before you hit the mountains. Storm Gear: If you need to stop to install chains or experience any sort of mechanical failure, you’ll be happy if you have a full outfit of waterproof storm gear. This includes hightop, waterproof boots, as well as waterproof gloves. You’ll want them roomy enough to fit over your normal clothes and still allow a full range of motion. Include a waterproof tarp in case you have to get onto the ground to install chains. Flashlight: Not only is it dark earlier in the evenings during winter, storms can darken the skies even earlier in the day. A reliable, waterproof flashlight is not only handy for seeing what you’re doing, such as installing tire chains, it is great for letting other motorists know you’re there. Shovel: If you become stuck in a snow bank or simply need to clear snow away from your tires before installing chains or cables, you’ll be surprised how valuable a collapsible shovel can be. Many long delays could be avoided if drivers were prepared to free themselves from minor situations. Blankets and Candles: If you are unfortunate enough to become stuck for an extended period, don’t assume you can rely on your car’s engine for heat. Bring blankets and candles. Obviously, you need to exercise extreme caution with an open flame in or around a car, but a single candle can provide an impressive amount of heat, as well as comforting light. Food and Beverages: While you can go a very long time without food and water, why be miserable. Have snacks and beverages handy in the passenger compartment for unexpected delays. Charging Cords or Batteries: Keep your cell phone charged during the drive in case you get stuck for an extended period or should have to leave your vehicle. A spare battery pack is another good idea. Don’t forget, batteries discharge quickly in cold conditions, so try to keep your phone close to your body if you’re out of the vehicle.